Partner Voices gives companies a way to highlight their contributions to the community. To learn more about Partner Voices, read our FAQ. Partner Voices promotions are paid for by sponsors or the nonprofits featured here. They are not products of Voice of San Diego’s editorial staff. Give your organization a voice! Contact us for details. La Casita and La Escuelita − the Little House and the Little School − sound pretty tiny. 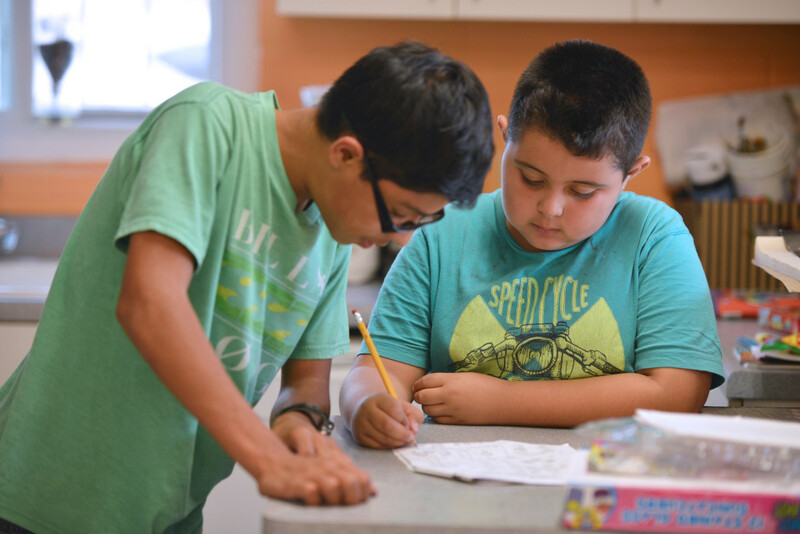 But North County Lifeline’s two after-school programs in Oceanside have a huge impact. The programs, which serve dozens of at-risk kids in the low-income Crown Heights neighborhood, prepare kids for the worlds of work and education. They also give children the tools to avoid the temptation of gang, drugs and crime. “We provide a safe harbor in the neighborhood,” said Don Stump, executive director of North County Lifeline, which provides services in the areas of youth development, mental health, employment, housing, child abuse and domestic violence. Crown Heights, a largely poor and mostly Latino neighborhood near Oceanside High School, is known for violence and crime. Club Crown Heights offers an after-school refuge for kids though La Casita (grades K-5) and La Escuelita (grades 6-12). About 200 kids are registered in the two programs. The goal is to divert children from future trouble through creating a pro-social pathway toward school success. Santos Peñaflor, a 21 year old who serves as a mentor and aide at Club Crown Heights, may know its programs better than anyone since he took advantage of its services as a kid himself. Peñaflor has been worked for North County Lifeline for two years. He helps kids with homework, gives them advice and serves as a role model. The Crown Heights neighborhood is notorious for the heavy presence of the so-called Center Street Locos gang. “We want to create an alternative pipeline to more positive choices. Our programs begin in elementary school, and the kids can continue to take part through high school,” Stump said. The youngest children focus on developing social and communication skills like learning how to share and “just being nice,” Riecke said. As for the older kids, they move on to programs that teach them about leadership. The kids essentially learn how to become politicians, she says. “There’s an election process: They create campaign posters and they have to say ‘Vote for Me,’” Riecke said. They may even attend a City Council meeting or present at a North County Lifeline event to get insight into real life. Thanks to funding from SDG&E, Crown Heights students take part in an Outdoor Outreach program designed to expose them to the great outdoors and boost their leadership skills. Learn more about North County Lifeline’s sponsor, SDG&E.